This Butcher Shop is in the village of Whangamomona. A comfortable house for your stay here. A fully furnished house with a fully stocked kitchen which will allow you to either eat here or eat out. We bought this around 5 years ago and it has taken a while to get it renovated to what it is today. It was quite a job with not much going in the direction of how we wanted it to! But by this time we are very happy with how it is and hope that you are too. Whangamomona is largely a place to relax and enjoy. Or you can go exploring the village and even walk the Whangamomona Road which is sure to please. There are many points of history around this area with a lot of wonderful pictures to view in the McCluggage Store, right next door. We have a library of books for you to enjoy reading and a good few magazines to get through. Games are stacked on the bookshelf for a fun night in. Please note the cost for 1 person is $100 per night. Pork and I are farmers in Kohuratahi on a sheep and beef farm. We enjoy doing the Bed & Breakfasts alongside our other business. Although we are not onsite we have met many lovely guests staying. We have 4 children and 2 grandchildren. We are heavily involved in the community so we are kept very busy! A small village set amongst the hills of Whangamomona. Look out onto the Forgotten World Highway otherwise known as State Highway 43. In the busy season traffic galore come through our historic town. The murky Whangamomona River requires a bridge to get over it to carry on through the forgotten world highway. Had an enjoyable stay. Very spacious and breakfast provided was an added bonus. The cottage is spacious and well equipped. We had a wonderful time staying here and the breakfast provisions was a bonus. The cottage is beautiful with a great character. The Butcher Shop was more than we expected and we’ll tell others about it! It was neat and tidy inside and out. It was a pleasant surprise to find breakfast supplies. Unique accommodation in a unique town! 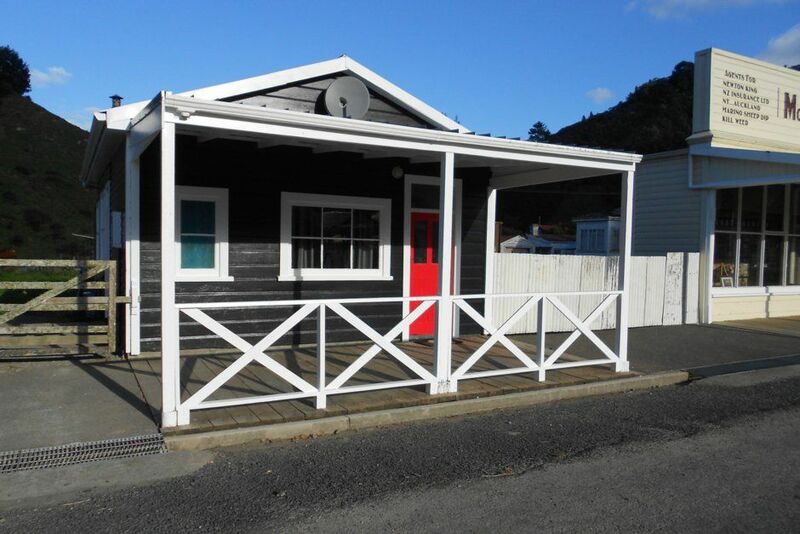 Comfortable accommodation within walking distance to Whangamomana Hotel. Comfortable bed and generous breakfast provided. Dolly Gray has recently opened in the village where Tracey sells her beautiful locally handmade products.